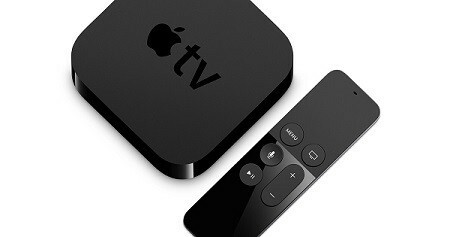 The latest generation of Apple TV wants to do quite a lot of things differently with new features and services that the company is trying out for the first time. In fact, Apple TV sports a new OS with a new SDK so despite whatever Apple has done to ensure stability, some issues and bugs are to be expected. Knowing how to deal with the most common issues before they even happen should ensure you avoid frustration and think positive, something vital when you are surrounded by expensive tech. Because I use multiple devices every day for different purposes, I constantly make apps get stuck which leads to frustration and in turn to even worse app interactions in a vicious cycle that is hard to stop. Whenever an app gives you trouble in your Apple TV, simply press and hold the Menu button in your Siri remote to force quit the app. In cases where that does not help, go to Settings > System and select to Restart your device. Restarting is fine and all but sometimes a more “scorch the earth” type of solution is required. Sometimes tvOS may get bugged out due to a misbehaving app or something similar so if restarting the device does not work, head over to Settings > System and choose the Reset option instead. Any data that has not been backed up will be deleted so make sure to check iCloud before resetting. Like the iPhone and iPad, Apple TV can also be restored via iTunes. This is kind of a “final step” solution because it takes a considerable amount of time and also requires you to have a USB-C to USB cable in order to connect your Apple TV to your computer. Once you have connected the two devices, open iTunes and select your Apple TV from Devices. Finally, click on the “Restore Apple TV” option to continue. Normally, your Apple TV should deal with updates automatically. The only thing you will need to do is click on an “Update Now” button to confirm the update process and go about your day. However, update notifications may fail to arrive or perhaps the system might be having trouble finding updates automatically. To check and install new updates, go to Settings > System > Software Updates and click on the “Update Software” option to force a new check. Issues with audiovisual content on your device does not necessarily mean that Apple is at fault. Your Apple TV supports content from multiple providers and Apple has a dedicated webpage which you can access to find contact information for all of them. You should contact individual content providers only if specific media in your device is affected by an issue otherwise your Apple TV itself may be a more viable candidate. When all else fails, turning to Apple’s support system is a guaranteed way to fix your issues. Start by going to the Apple Support page and selecting the Apple TV from the list. Then, check whether the issue you are having is listed as an option otherwise click on the “Troubleshoot Apple TV” option and contact someone from Apple Support directly. When something is seriously wrong with your device, you can also take it to your nearby Apple Store and ask for a repair. Apple offers one year warranty for Apple TV but make sure that you ask before you give your device over.